I think finding the perfect skincare for you is like finding a perfect LBD.. If it doesn’t go with your skin or supports your needs then it kinda won’t work right? See I have all kinds of issues with my skin, it’s oily in some places yet very dry in others and with getting older I have started to see pigmentation spots. Many times I have struggled to know which way to go with creams, I don’t like the feeling of it not absorbing into my skin fast enough, or the care not lasting throughout my day. And also the scent is so important, when they’re so strong that they compete with my perfume I know it’s not for me. I’ve never actually looked thoroughly enough into skincare and probably should have, I don’t really think high street brands work for everyone and I’m not sure what is being put into these products either, many times I found them to be too harsh on my skin and that’s doing the opposite of what they should. 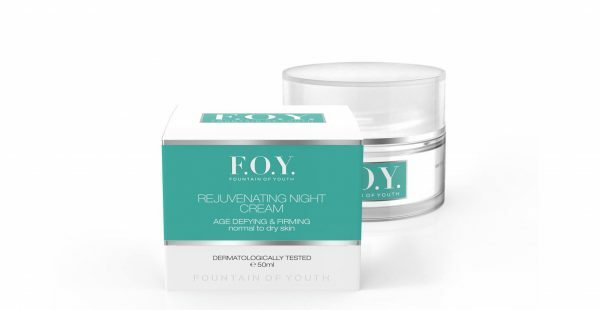 So I really looked forward to the opportunity to try a range of 8 products from F.O.Y, Fountain of Youth, and what a range it was! I had everything from Anti Cellulite Gel to Eye Contour Gel. 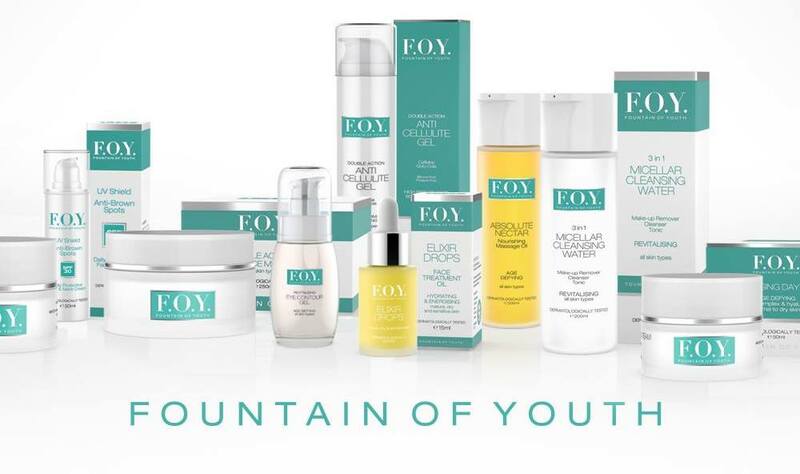 I was happy to learn that F.O.Y focuses on ageing skin and the issues coming with it, but is still mild enough to be used on post operative skin which is where they started their journey. They work with a number of carefully selected extracts from plants and flowers as well as essential oils to create the perfect combination, and all with expertise and precision. Everything is dermatologically tested and every product has been through vigorous consumer as well as clinical trials to test how the products are able to restore, repair and rejuvenate your skin. I could go through all 8 products but I thought I would keep it to my very favourites instead and I’ll leave you to venture in to the world of F.O.Y and give it a try if you think my review sounds promising. As a start of my day I used the Moisturising Day Cream. This gave my skin a nice base before putting my daily make-up on. It’s a light cream and it has a scent that triggers a memory for me, I love this scent! The cream absorbs quickly so I don’t have to wait long before my foundation. 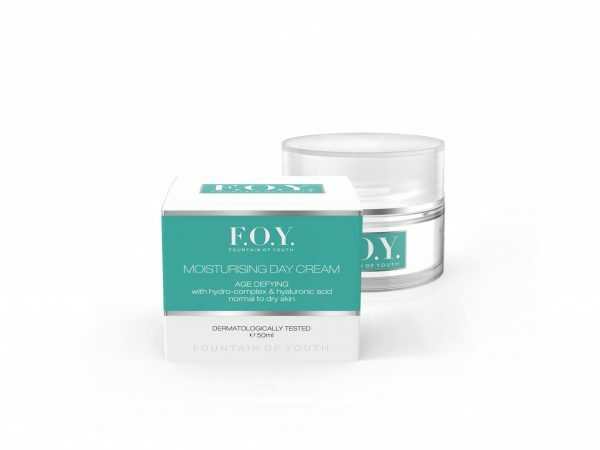 With my dry skin I had issues with other brands that they didn’t keep my skin nourished throughout the day and it would start itching, F.O.Y however really kept it’s promise without being too heavy. 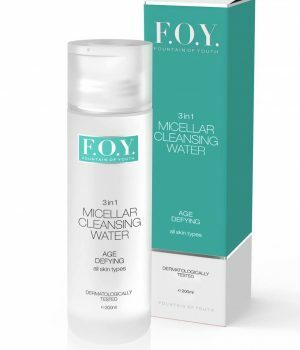 After washing the heavier part of my Make-Up off such as waterproof eyeliner and mascara I proceeded to use the 3in1 Micellar Cleansing Water, I liked that it didn’t have a strong scent like many other Cleansing waters can have, it didn’t feel too tough on my skin and it was absorbed nicely without leaving my skin feeling dry. I could really tell how it cleansed my skin as sometimes foundation and similar products can kind of stick to wrinkles and lines on my face. I use this mostly in the evening but it can be used all throughout the day as well. 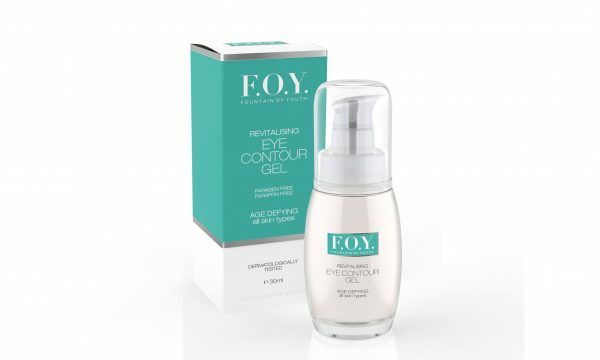 My next step was the Eye Contour Gel, I realised that you need very little amount of this to cover the entire area around your eyes, so it will last you very long. Again it’s a product that feels light and soothing, this product has Sea Camomile which has a similar effect to botox but without the needles and I’m all for that! 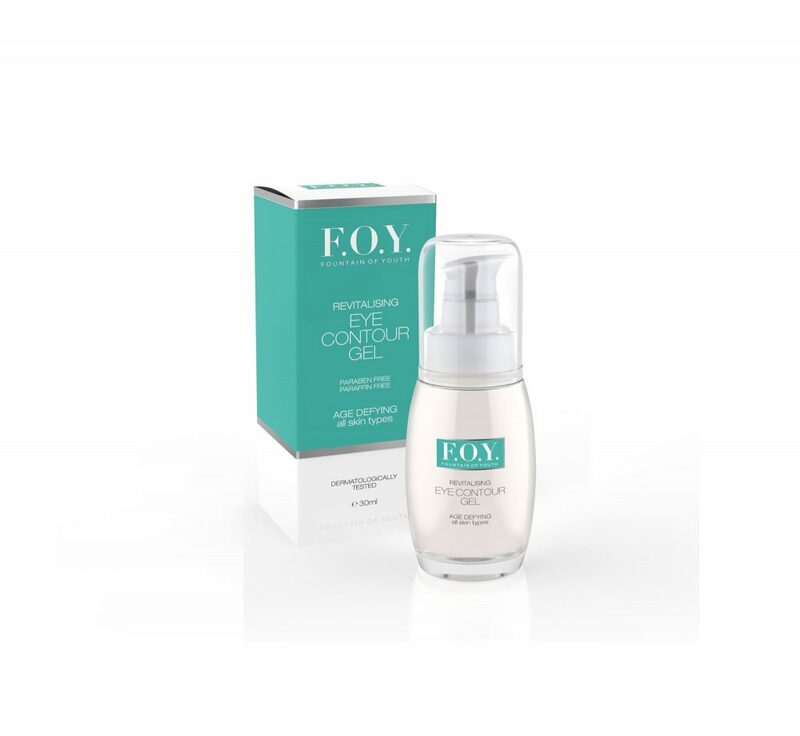 F.O.Y also mentions that it can be used on your forehead which is something I’m just about to give a go, can’t hurt. And as my last step before cuddling down in front of my TV I used the Rejuvenating Night Cream. I have read that your skin works differently during the night in the way of it really re-booting so to speak. So it’s important to chose the right product, dare I admit that in my younger years I would even go as far as to apply the cream closest at hand, and it could even be a body lotion, It’s so bad I know. The Rejuvenating Night Cream helps regenerate the skin and intensely hydrate throughout the night while you’re dreaming away. Ok so those are the products I have used for my face and they really feel good and I’ve had no issues with them, other than almost running out. I decided to give the Double Action Cellulite Gel a go, cellulite has not bothered me so much but I thought I would take up the fight. It’s recommended to apply after a bath, exfoliation or a body brushing session, I tried it the first time after a bath. I didn’t know what to expect and I was taken by surprise. Very soon after applying with circular motions I could feel my skin warming up, and it looked a little blushed. And the tightening feeling was so interesting. This however goes away after about 20 minutes but the skin remains feeling tightened and I really like it. With that said, I learned the hard way to thoroughly wash your hands after using this gel before applying any other creams on your face for instance, luckily my date wasn’t until an hour or two after. The Double Action Cellulite Gel promotes collagen synthesis and in that way gives you slimmer and smoother looking skin it also helps break down fats and stops the growth of new fat cells, all good news to me. 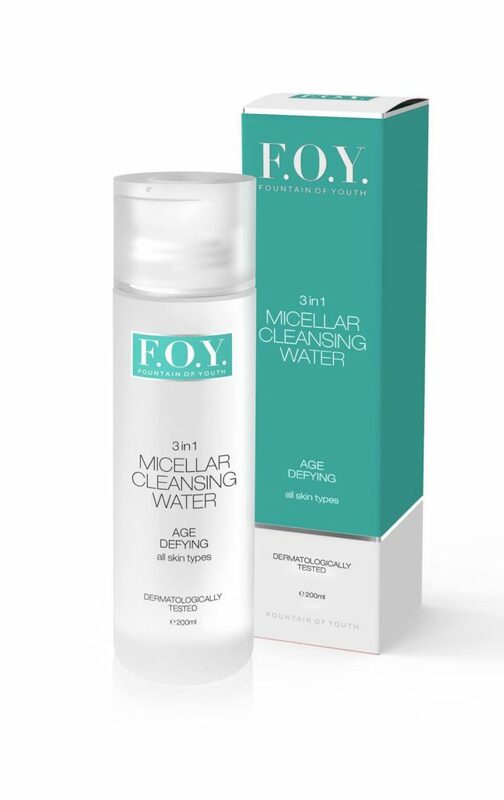 I can happily say that I am hooked and definitely recommend F.O.Y products which are avalaible in salons and online.